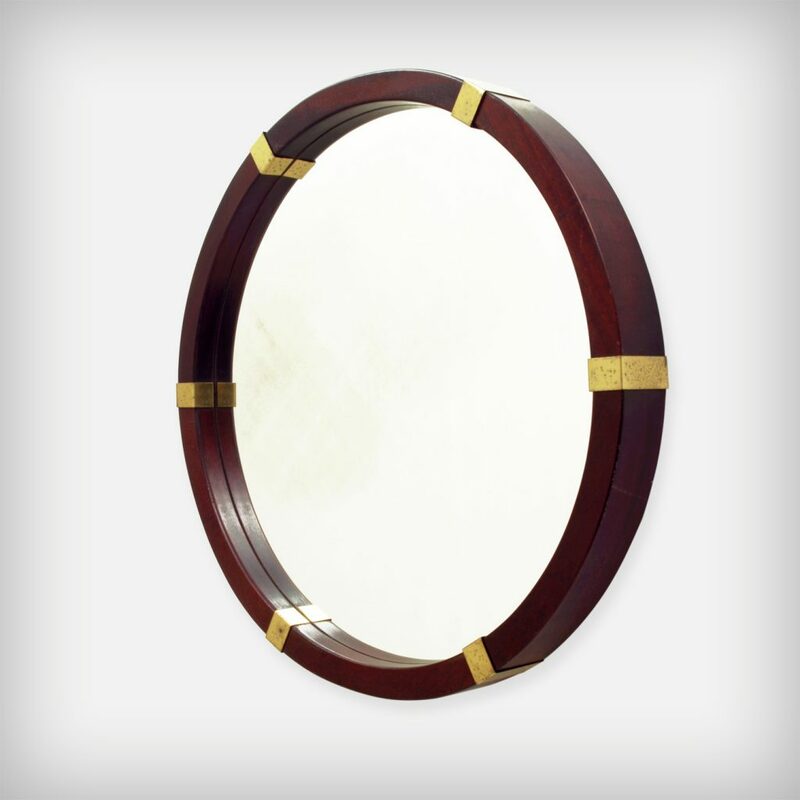 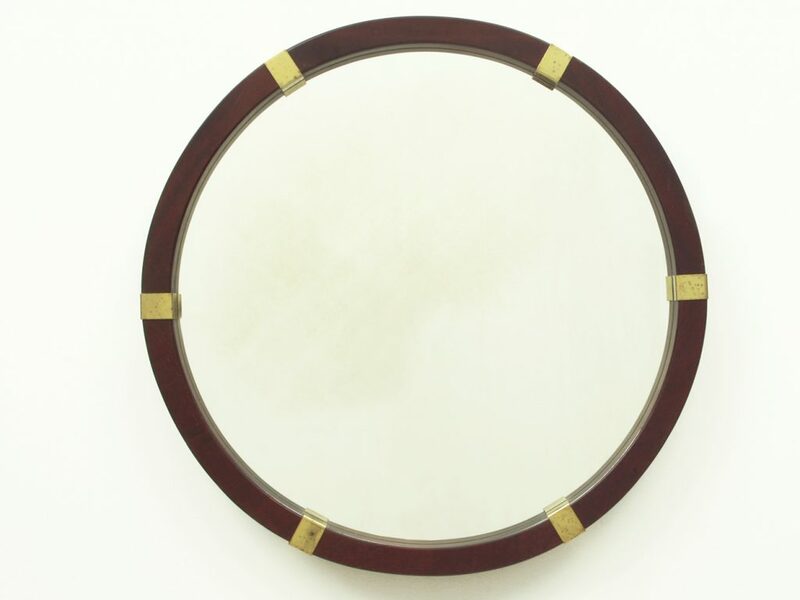 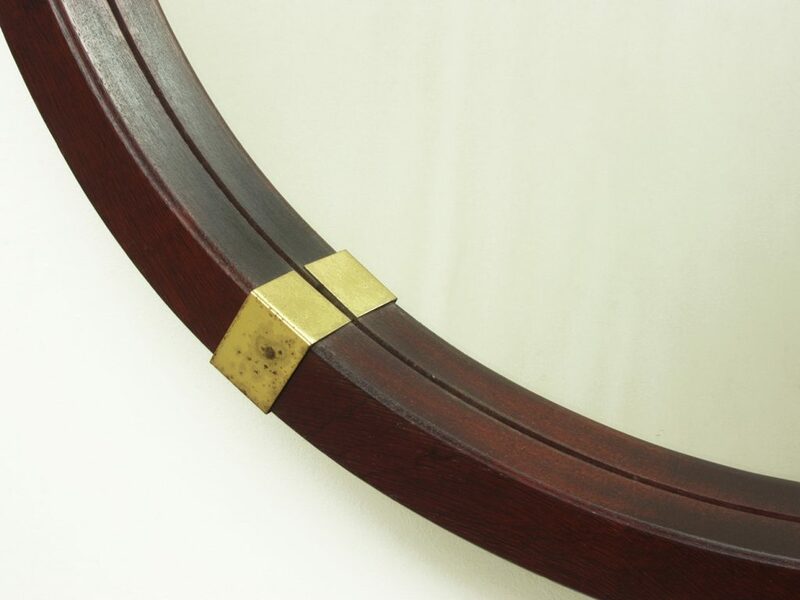 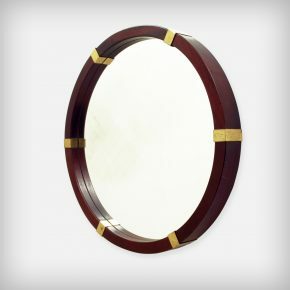 Beautiful mahogany wall mirror with brass details. 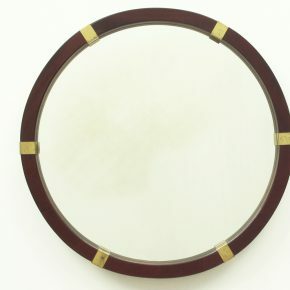 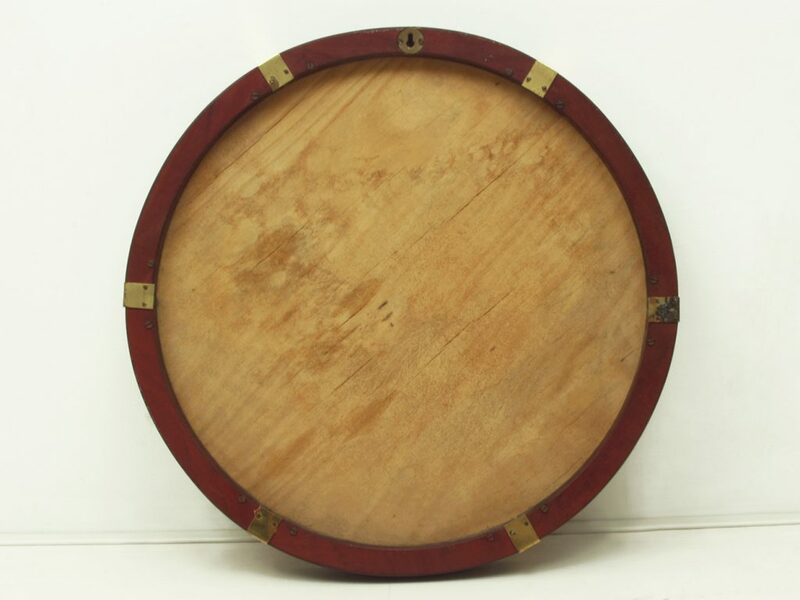 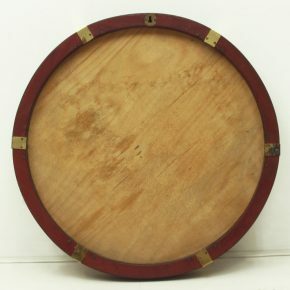 It looks a bit like a porthole. 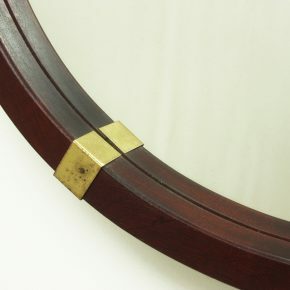 The mirror glass and brass became a bit tarnished through the years.